One of the best ideas for a New Year's Eve Party is to host a 1920's themed event. This theme is amazingly versatile with gangsters, flappers, musicians, and detectives. These party ideas can turn an ordinary party into and extraordinary New Year event! The first thing that you need to do when planning a New Year’s Eve party is to select the right party idea or theme. Your party idea will be a party of the food, drinks, costumes, and decorations, so be sure to choose an idea that fits your party style and that you will enjoy planning. These party ideas will make your New Year Party planning a breeze. You will be able to find all of the perfect party supplies for your ideas right here at PartyExpress.com. Here are some of the top ideas for a 1920's Themed New Year's Eve Party. Gangster Party Ideas: The 1920's were a time when notorious gangster ruled the streets. Take your guests back to the time of organized crime. Select some gangster hats and fedoras and put the women in black and white head dresses. Stick some peel and place bullets holes on the doors and windows to make it look like gang was just there. You could even turn a 1920's gangster party into a murder mystery. Flapper Party Ideas: The 1920's was not all about the gangsters ruling the street. There was also a lot of glitz and glamour. When you think of a 1920's woman dressed up for a night on the town you can not help but think about the flapper girls. Select some flapper headbands for the ladies and maybe some pearl white beads or feather boas. The men will look great in one of the multiple styles of top hats available at all different price points. 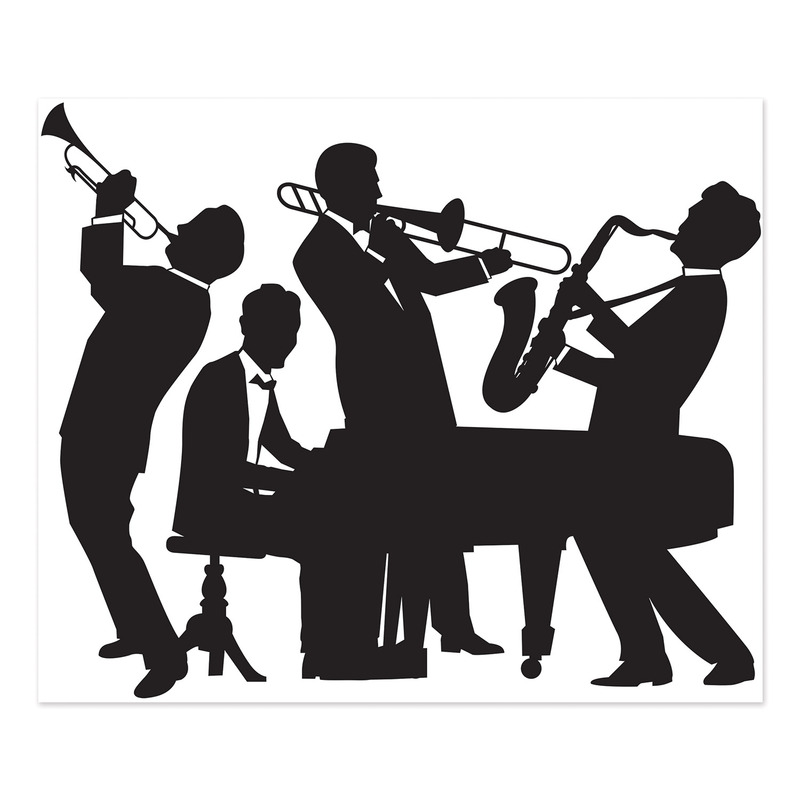 Music Party Ideas: The 1920's were a time of big bands and leading performers. We have developed an entire hat style just to fit the big band style. Take a look at our Chairman New Year's Eve Party Kits for your next big band themed new year's eve party. You will also find music note decorations that will fit this idea perfectly. Sherlock Holmes Party Ideas: If a gangster came to visit and a flapper girl went missing while the big band was playing, then you need someone to solve the crime. Have a 1920's murder mystery party featuring Sherlock Holmes as your leading detective. Grab Sherlock's Bowler hat and some white spats and let the investigating begin! You can also head on over to our Halloween Section and set the scene of the crime. Speakeasy Party Ideas: The 1920's Speakeasy theme is the perfect idea for New Year's Eve. It incorporates drinks with partying which is what New Year's Eve is all about! Create some specialty cocktails that are reminiscent of a old time speak easy and grab some high class black and white party decorations that fit the theme perfectly. Your bartender will be slinging vintage drinks to a group of people right out of the history books. Cigar Room Party Ideas: In the 1920's cigars and cigarettes were just a way of life. They were symbolic of the upper class. When you look back at old photographs you will see men and women smoking in their finest attire. We actually offer an New Year's Eve Party Kit that includes horns that look like cigars. Take a look at our Havana Assortment for 50 to see some of the nicest looking horns and hats that you will find. You can also select from fake cigars and cigarettes that look like they are actually lit.